Born: 17 July 1829, Navan, Meath, Ireland. Died: 13 March 1909, King William's Town, South Africa. Charles James Egan studied at Trinity College and the College of Surgeon's School at Dublin, Ireland, receiving the degree Bachelor of Arts (BA) in 1851. He then emigrated to the United States and farmed in Illinois for some time before returning to Ireland. Continuing his studies, he qualified as a member of the Royal College of Surgeons (MRCS) of England in 1857 and, on account of threatening pulmonary disease, emigrated to the Cape Colony. In August 1857 he was appointed assistant colonial surgeon at the Grey Hospital in King William's Town. He remained in the town for the rest of his life, playing a leading role in its development. In addition to his government appointment he acquired a considerable private practice. In 1870, when the colony of British Kaffraria was incorporated into the Cape Colony, he was licensed to practice in the Cape and appointed as district surgeon of a large portion of the Eastern Cape for a number of years. From February 1872 he was furthermore surgeon to the local Kaffrarian Volunteers. He was an enthusiastic Freemason and was elected district grand master of the Eastern Division of South Africa on its formation in 1877 - a position he held continuously for 30 years. In 1883 Egan resumed his studies, obtaining the Licentiateship of the Irish College of Physicians. He was furthermore awarded a gold medal by the Dublin Pathology Society for his thesis on diseases of the liver. He was the leading physician in the eastern districts for many years, held in high esteem by both his colleagues and patients. He was an assiduous case taker, recording every case that might be of the slightest interest, and was particularly able as a diagnostician and obstetrician. His interest in obstetrics led to the publication of an exhaustive analysis of 1000 midwifery cases in the Medical Times and Gazette during the eighteen-eighties. In 1877 he had already published a paper on "Statistics and disease in King William's Town, British Kaffraria" in the same journal. Years later he published a paper on "Bilharzia Heamatobia in Cape Colony" in the British Medical Journal (1901). In July 1884 Egan was elected the first president of the King William's Town Naturalist Society, serving for a year only. The society established the King William's Town (later Kaffrarian) Museum. At the founding meeting he exhibited a valuable collection of books on botany, zoology, palaeontology, conchology and geology. At a meeting on 5 May 1886 he delivered a wide ranging lecture dealing with natural history, evolution, fossils, and spontaneous generation. 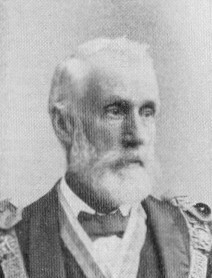 He served on the society's management committee again in 1887, also on its museum committee and, from 1867, on the town's library committee. In 1886 he was elected the first president of the short-lived Frontier Medical Association. Ten years later he joined the Eastern Province Branch of the British Medical Association, and by 1898 was also a member of the South African Medical Association. He was a man of wide culture and an omnivorous reader. For example, in January 1880 he delivered an address on "The myths and oral traditions of the period anterior to written records", which was published in King William's Town. During his later years, in his spare time, he translated Books I, II and III of the Latin poet Lucretius Carus's De rerum natura into English. The translation was published in Cape Town in 1907. He also published a book, Scraps of modern science selected from recent authors, in Cape Town in 1895. Egan was one of only six observers who began to provide regular meteorological observations to the Cape of Good Hope Meteorological Commission in the second half of 1875. In 1897 his station was upgraded to a second order meteorological station. He continued to provide data to 1908. After his death his wife passed his instruments on to F.A.O. Pym*, curator of the King William's Town Museum. Cape Mercury, 6 May 1886, p. 3, "The Naturalists Society". Cape of Good Hope. Report of the Meteorological Commission, 1875-1908. Cape of Good Hope. Report of the committee of the Public Museum, King William's Town, 1909. General directory and guide book to the Cape of Good Hope and its denpendencies, 1886, pp. 311-312. Google scholar. http://scholar.google.co.za Publications by C.J. Egan. Kaffrarian Watchman, 25 July 1884, p. 3; 5 November 1886, p. 3: "King William's Town Naturalists Society". King William's Town directory for 1870. King William's Town: J. Hundertmark. King William's Town Naturalist Society. Minute Book, pp. 2-3. National Automated Archival Information Retrieval System (NAAIRS). http://www.national.archives.gov.za/naairs.htm Documents relating to Charles Egan / C.J. Egan. Obituary: Charles James Egan, MRCS (Eng), LRCP (I). South African Medical Record, 1909, Vol. 7, pp. 94-95. Randles, B.M. A history of the Kaffrarian Museum (pp. 1, 21). King William's Town: Kaffrarian Museum, 1984. South African Medical Journal, 1886, Vol. 2, p. 78, "Frontier Medical Association". South African Medical Journal, series 2, 1896, Vol. 4, p. 52, "Meetings of societies"; 1898, Vol. 5, pp. 240-242, "South African Medical Association".